I had my annual review yesterday at MMU. We are assigned an academic we don’t usually know or have dealings with so we can speak honestly about our progress and relationships with our supervisors. I was allocated a new reviewer this year as my previous chap has apparently broken his hip, so I was a bit unsure about how much of a “grilling” I would get as my last chap went very easy on me. Luckily I had a really nice meeting, and got some good tips and contructive feedback to use in my last year. It’s still hard to believe I’m entering my last year- where has all the time gone! I’m still struggling to feel like I’m making any progress in the writing up process. Most days I only end up writing a few paragraphs or just constantly reviewing what I already have, so I don’t feel like I’m increasing my word count very much! I’m panicking too much about being behind on my schedule and not being able to string sentences together that sound even vaguely intelligent, so I’m not taking the time to enjoy going back over my notes and using all the stories I got so excited about during my research period. I need to adjust my outlook rather majorly if I want this year to be enjoyable rather than a chore! 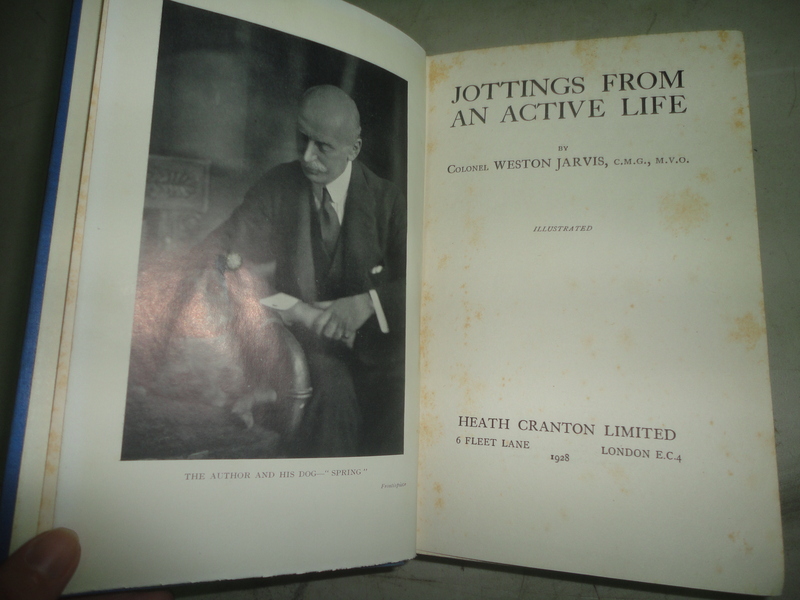 Today I’ve been re-reading a book we have in the library at Tatton by Alexander Weston Jarvis called “Jottings from an active life”. I was so grateful last year to hear from an academic who was transcribing Weston Jarvis’s diary from his time in Matabeleland and kindly gave me a copy to use in comparison with Maurice’s diary from the same time. I later found this book in our library at Tatton which gives his more formalised and polished account of what happened, so I’ve been lucky to get lots of context of the Matabele War and Maurice’s hunting trip. I just wanted to share one funny story from the book. You might remember how Maurice looked forward for many weeks to meeting Cecil Rhodes, who was undoubtedly one of his heroes. He was disappointed when he finally met him, and said that Rhodes was “older than I had imagined, and his rallying speech was inaudible to almost everyone”. It seems that Maurice wasn’t the only one to think that Rhodes would have cut a more imposing figure. “No” said I, “I am sorry to say that I’ve got no fish”. “No” said I, “I am sorry to say that I’m out of jam”. “You’ve got no fish, and got no jam, what the devil then have you got?” said the man. “You may well ask me that” said I, “I’ve got precious little left, and what I have got they’re all trying to take away from me as fast as they can”. “Well” said I, “I certainly do read a bit, that’s my recreation. You see, it’s pretty hard selling fish and jam all day”. “I think it must be” said the man. “Well I’m sorry for you, for you’re a civil spoken kind of chap, and I’m still more sorry that you’ve got no fish or jam, but it can’t be helped. Good day”. “Good day” I said, and he went back to the laager. Last week I finally made it to Kent to do the last bit of research needed for my PhD. I visited Quex Park, the one time home of Major Powell Cotton and site of his museum. Powell Cotton knew Maurice, and they were collecting similar objects at the same time, and both used Rowland Ward to prepare their taxidermy. Maurice had his book “a sporting trip to Abyssinia” in his collection, so I knew I would have to see his museum for myself. Unfortunately I had a bit of trouble trying to arrange a research appointment to see the archives, but I was happy to play the tourist and just enjoy visiting the museum, which is something I haven’t had much opportunity to do lately. From his childhood it is easy to compare Powell Cotton with Maurice, and they were from similarly privileged backgrounds. When he was born in Kent in 1866 his grandfather was the current owner of Quex but he would have been a regular visitor. He also didn’t receive a formal education, and was taught at small schools, but had an early interest in natural history. He was a meticulous record keeper from childhood, whereas I think Maurice only became organised to fit in with other hunter/collectors later on. I was wondering what sort of building Powell Cotton would have constructed for his collection and how it would compare with the tenants hall at Tatton. 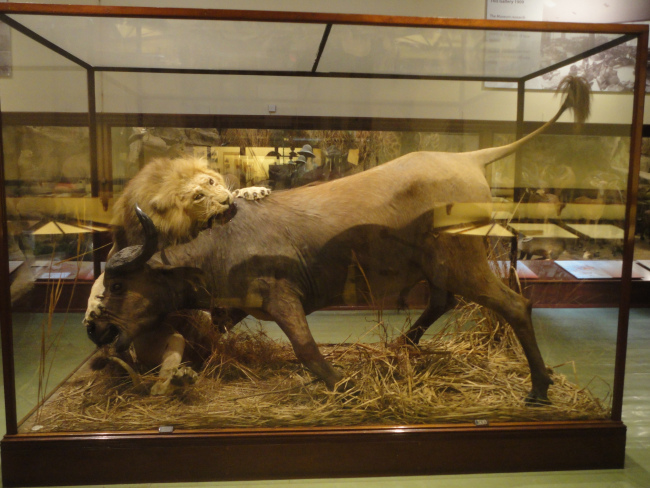 It seems at first that Powell Cotton displayed his taxidermy in the billiard room of Quex, and that his collection began to develop along similar lines to Maurice: as trophies displayed in an ancestral home to speak of the power of the collector. But when both men began to run out of space in their homes, their collections and exhibitions diverged down different paths. 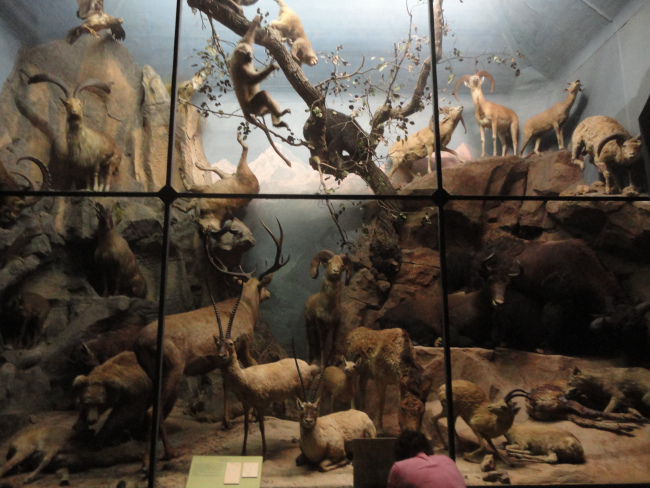 Powell Cotton was inspired by the full mounts created in natural habitats by Rowland Ward, and so began construction of a museum that would allow him to present his animals in this manner. 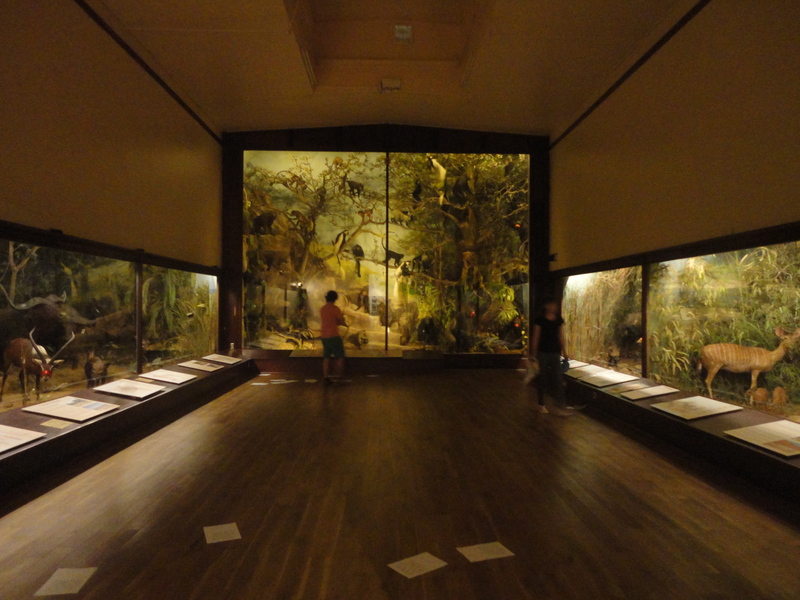 The dioramas that resulted at Quex are jaw-dropping and impressive. I didn’t anticipate being quite so blown away by my visit. 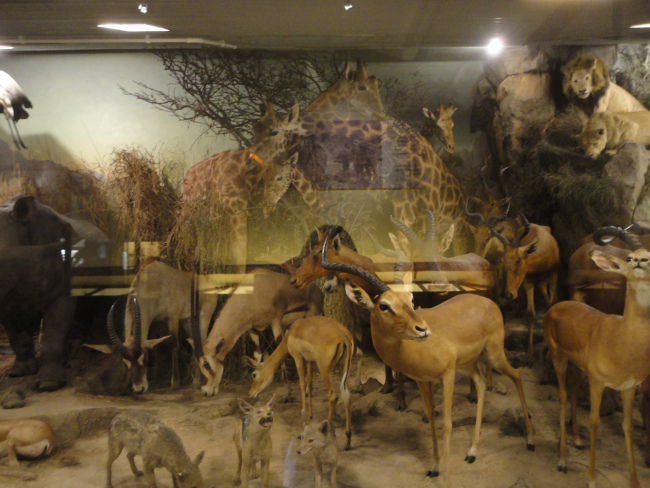 Like our Rowland Ward trophies at Tatton, his specimens look to be in great condition, but the real wow factor comes from the quantity and variety of animals on offer, particularly large specimens like giraffe and elephant, which moves far beyond Maurice’s collection. Maurice’s choice of “trophy heads” for his own collection, vs full mounts donated to museums, and the connotations of trophy displays vs dioramas. The choice of display space, why did Maurice remodel the tenants hall and Powell Cotton construct a purpose built museum? What does each space convey? 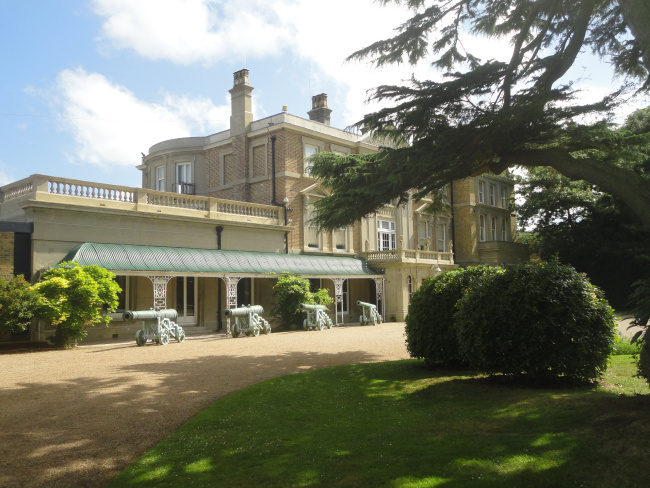 Here are some photos, please enjoy, and visit Quex if you can- it truly is an amazing place! Last week I met my supervisors to discuss me moving on into my final year. We have drafted a month-by-month plan for me to write my chapters with an ideal submission date of May 31st, so I have almost exactly a year to wrap it all up! It’s nice to be within sight of the finish line, but looking at my jumbled mountain of notes it’s also a bit intimidating taking the plunge into writing it up and making some sense out of it all! I really don’t have any personal interest in fishing, yet Maurice’s stories of fishing have been some of my favourite so far. I’ve certainly been surprised at just how much time Maurice spent fishing, and have had to understand that it was as important a hobby to him, or if not more important, as any of his other interests such as game hunting, flight, radio etc. In January 1908 Maurice travelled from his business interests in British Columbia to Mexico, visiting Oregon, San Francisco and Texas on the way. His diary shows that he enjoyed playing the tourist, and he tells some great stories of participating in local customs and sightseeing. We always think of him exploring wild and untamed regions, but he also writes about visiting the popular sights and museums of New York, Washington Venice, Pompeii and Egypt during his travels. “The opium den was unfortunately empty except for the proprietor, but he smoked a pipeful for our benefit”. He also spent a few days fishing from Avalon in LA, and it was here that he collected his abalone shells. “I tried at Don Felixo some tequila. It is not bad, about on a par and not unlike vodhka”. “I sampled some tortillas, which look and taste like soggy flapjacks”. Finally on Feb 26th he made it to Tampico and began his quest to catch a tarpon fish for his collection. From what I can find out (which is very little on this subject!) Tarpon fishing in Tampico was similar to the Tunny craze in Scarborough- wealthy Americans and British nobility would travel there to catch one of the monster fish. One of these ladies there at the same time as Maurice in 1908 was Lady Juliet Duff, 1881-1965. She was the daughter of the 4th Earl of Lonsdale and married Sir Robert Duff, 2nd Baronet in 1903. 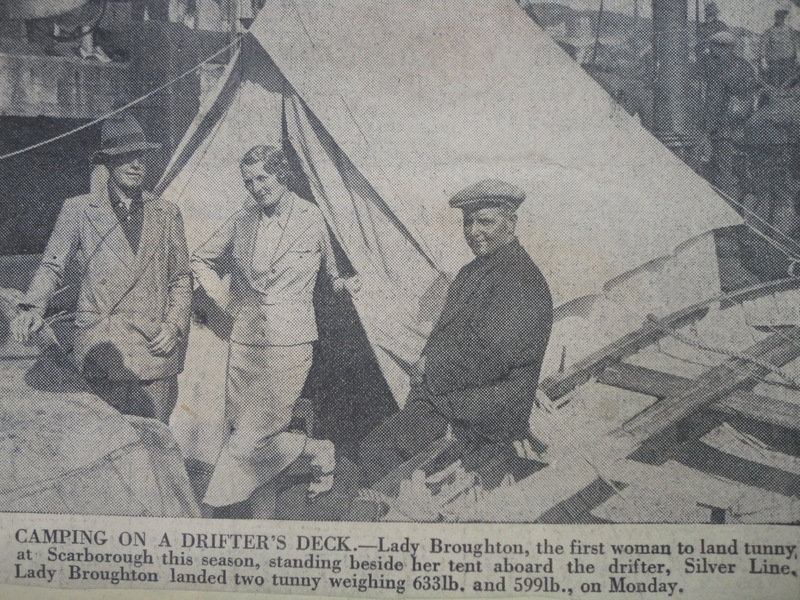 Other aristocratic fishermen and women there at the same time were Sir Frederick Johnston, 1872-1947, and Lady Wilton, who I think would be Mariota Egerton, married to Arthur Egerton the 5th Earl of Wilton. In that case she would have been a relative of the Heaton Hall line of Egertons. 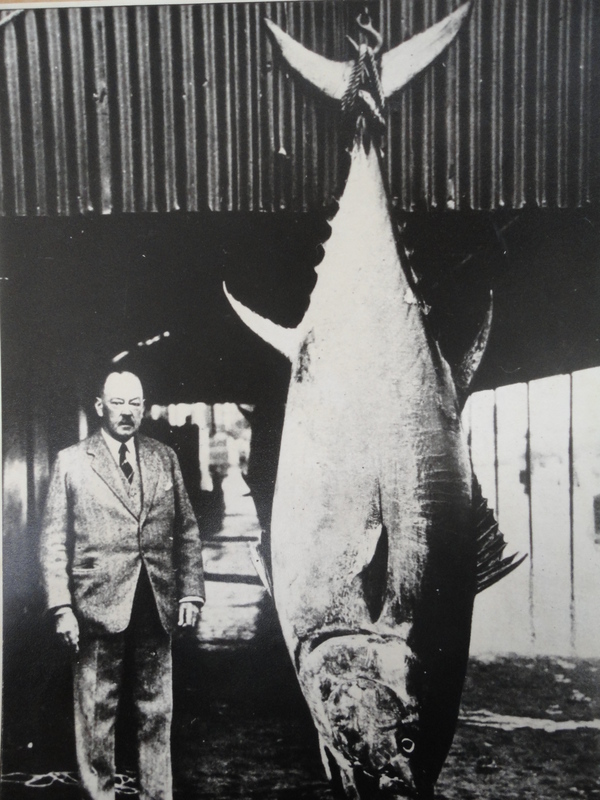 When Maurice was fishing in 1908 the current tarpon record was 7ft 2in long. On Feb 28th Maurice hooked a 2ft tarpon which he put straight back. Lady Duff caught one of 6ft that day, and a second 6 footer the following day, so Maurice must have been disappointed. “about 11am got into a fair sized fish and had a grand time with it for about half an hour- eventually towed it ashore and Lorenzo got out into the mud and gaffed it and dragged him out of the water. Put a rope through his gills and towed him to a good dry landing”. This fish measure 5ft 8in so was a good catch, but strangely this fish didn’t end up in Maurice’s collection and was given to Longford Hall. Maurice described March 26th as his “grand finale”. He caught a 6ft 3 1/2 inch fish weighing exactly 100lbs. “camp fires and songs and discussion. Lay down on the grass among some sleepers- very suitably- and with my pipe for comforter”. I love this idea of him fitting in as a weathered and natural Mexican- he certainly didn’t conform to expectations of an aristocratic Englishman! Tomorrow I am going on a little holiday in Kent and combining it with a research trip to Quex Park and the Powell Cotton Museum. Powell Cotton was a friend of Maurice and established his own collection of Rowland Ward taxidermy, but displayed them very differently to Maurice. Stay posted for an update when I’m I’m back. In the last week I have given two talks at MMU and am now coming back down after all the preparation and anticipation! Last Wednesday I did a 45 minute seminar paper for the History department seminar series. I didn’t have a huge audience but everyone was really kind and supportive. It gave me a big boost in my confidence as I’m not a natural public speaker. I talked about 4 of my favourite objects from the collection: the matabele axe, the rhino head, the tunny fish and the meteorite, and i tried to demonstrate the point of my PhD, which is to tell the story of Maurice through telling the story of the object, or should that be the other way round? On Friday I gave a smaller 20 minute paper for the 2nd annual IHSSR (Institute of Humanities and Social Sciences Research) student symposium. It was last year that I did a poster for that event (I can’t believe a whole year has gone by, and how much has changed for me in that time!) so it was time to try a paper this year. This time I recycled my paper from my conference in Norwich last November about the acquisition of the collection, but I updated it to include my most recent research. It was an interesting day listening to the research of my fellow students, and I hope they enjoyed my paper. From both talks it seems that the collection really divides opinion between those who can and can’t tolerate hearing the stories behind killing and collecting trophies. One question that really struck me on Friday was along the lines of “why do I promote these tales of acquisition? Or perhaps how can we can tell them in a more politically correct context?” I tried to argue “why shouldn’t we talk about acquisition?” Even if the stories are difficult to hear today, we can’t rub out the fact that acquisition occurred, so why ignore it? I think Tatton is actually in a better place than most other museums to include these stories as we use the collection to talk about Maurice- it’s is an important part of who he was. Museums can all too easily ignore or forget the names of the men that donated their objects to get around the problem of talking honestly about how their collections were born. On Friday the symposium opened with a talk by the head of the Institute on impact. He said that it’s not enough for us to talk about our research anymore, we have to be able to “prove” that it’s reaching people and changing the way they think or practice. This made us all think through frantically who our audiences are and what impact do we think our research has? For me, knowing that a few of the people I’m working with are interested in reading this blog and talking about my research to others makes me really happy, but most importantly it shows I’m already making some impact. I’ve also realised I need to make the most of any opportunity to talk about my research to as many people as possible outside university, so if I’m able to I might try to do a little public talk at Tatton at some point in the future. Writing those two papers has given me a lot of focus in the last month, and now it’s all over I’m feeling a little adrift again. I need a new purpose. I’ve got a year now to write up my research, but it seems like such a huge and impossible task to launch into. I think I will try to break it up into some more manageable chunks and smaller deadlines. This is a bit of a sad story, but shows the dangers of living and travelling in such harsh environments. – In 1905 Maurice was on Pier Island, Taku Arm. He had an Indian guide called Patsy, who was a man despite the name. Maurice was desperate to get a bear. On September 16th he blazed off 13 shots at one but failed to collect it. On September 20th, he sees a female cinnamon bear and two cubs and says he is lucky enough to kill the mother bear with one shot. On October 3rd he sees a small bear and shoots it in the foreleg. Patsy runs up and clubs it to finish it off, and they deduce that it was one of the cubs of the mother bear they shot the other day. Because I’ve read so many stories like this I think I’ve perhaps become de-sensitised, so I forget that an audience to this research might feel uncomfortable. But for Maurice, a bear was a great achievement, and his account is as usual very matter-of-fact and devoid of emotion or sense of responsibility. – We only have one moose at Tatton, (thank God as it was THE challenge in taking all the heads down a few years ago) although Maurice did kill many more. On September 20th 1907 he says he had “a great day” and underlined this twice as he killed five big bulls out of a big band that he encountered. 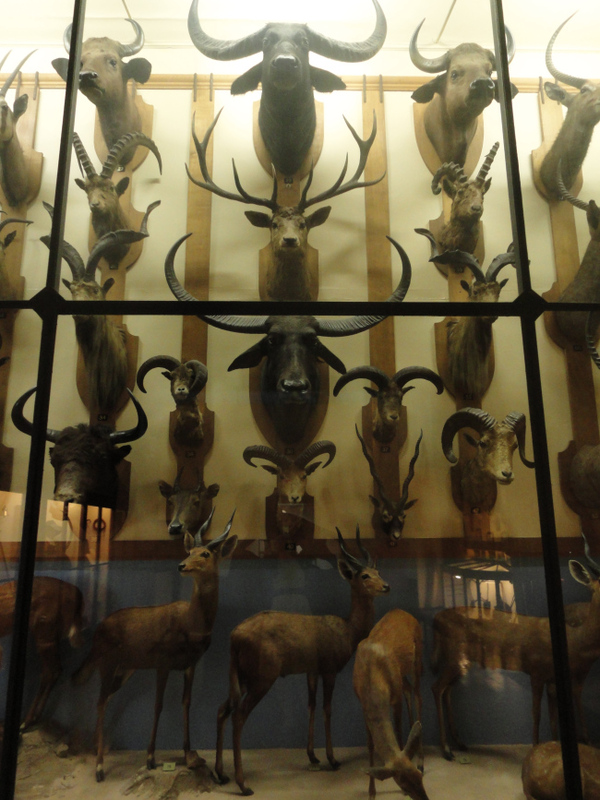 We do have duplicates of animals in the collection, but mainly from different localities. Maybe we don’t have all five moose on the wall in the Tenants Hall because only the biggest one was needed from that locality, or perhaps because they did not survive the preservation and taxidermy process. A large number of specimens didn’t make it to Rowland Wards in a satisfactory condition for preparation. Some skins were kept at Wards for years awaiting Maurice’s decision as to whether or not to set them up, and later on a large quantity were actually destroyed in a warehouse fire. – One benefit of travelling in British Columbia is that Maurice often mentions seeing the Northern Lights. In August 2014 a new exhibition will be opening at Tatton about the roles of the family and servants in World War One. I volunteered to contribute a bit about what Maurice was up to during that time and have spent the last few days going back over my notes. War was declared on Maurice’s 40th birthday. We always say at Tatton that Maurice was away in Russia at the time and travelled home through Germany, a very dangerous move. A permit issued by the British Ambassador to the German Emperor and King of Russia was signed in Berlin on June 2nd 1914 to allow him to pass safely through Germany and Russia as a British subject. His passport then shows various Russian stamps dating from October and November 1914. I can’t see that passport proves conclusively when he returned to Britain or that it supports our assumption that he returned through Germany. There is a marking “Newcastle 30/11/14” so this could be his return date. A colleague has been working hard with his Russian dictionary to try and come up with something more definite. There seems to be very little evidence of what Maurice was up to in the early years of the war. We have a few letters from 1917 from an address in central New York, so he must have spent a few months based there. “At Messrs. Curtis’s works we placed a very able inspector and one of the first to gain his pilot’s certificate in this country, Lieutenant-Commander Maurice Egerton. All the date we gained in actual flying experience in the North Sea we passed through Lieutenant-Commander Egerton to the Curtis Co. Consequently, that firm were well up to date when America came into the War, and they built the N.C.4 that the gallant American naval pilots flew so successfully across the Atlantic from Newfoundland to Plymouth. Lieutenant-Commander Egerton must have watched this flight with much interest, as it showed what a firm could accomplish from small beginnings”. “Kenyon apparently accused me of having no contracts except the H-16 to look after; and Tucker of getting his car mended free of charge by the Curtiss Co”. “Kerston appears to have been a good ink-slinger, but did not mix in with the boys enough and was high handed one day, and the opposite the next”. On July 11th Maurice went to Rochester, New York, to see a Dope Solvent Recovery process used by the Eastman-Kodak company. After discussing the proposed model for planes, Mr George Eastman, the founder of the firm, personally gave Maurice a tour of the film and camera factories of the Kodak company. We know Maurice was interested in film and photography so this must have been very interesting to him. Afterwards he went for dinner at Eastman’s mansion at 900 East Avenue. Maurice described his extensive grounds as: “quite civilised and homelike” but was most impressed by his beautiful Aeolian organ. Perhaps this inspired him to install one later on at Tatton? Maurice mixes with the greats but he also has time for the “little people”. On August 30th 1918 Maurice sails to Buffalo on a boat with 994 passengers, 200 of which have no berths. He takes pity on a boy called Freemont Allen and gives him his berth. This sparks a friendship between the pair, and Maurice frequently picks up Freemont on the weekends and takes him fishing. Another favourite boy is Eddie Gillam who he had previously met on a Buffalo-Detroit boat. These friendships were repeated throughout his life with various boys, and probably show that he was most comfortable around children who gave him little trouble and who he could teach and mould. “No particular news. Skrimshanking as usual”. He spent most weekends fishing or tinkering with Leo, his yacht. He certainly indulged his hobbies, and his life was not completely dedicated to, or overshadowed by the war. Even on working days he often converses about local geography and fauna and flora, suggesting that his mind was always enquiring after possible hunting and farming opportunities. Maurice undertook one long fishing trip, almost like a Summer holiday, to Rice Lake in Ontario, Canada between June 28th -July 7th. As he canoed on the lake war must have seemed very far away. 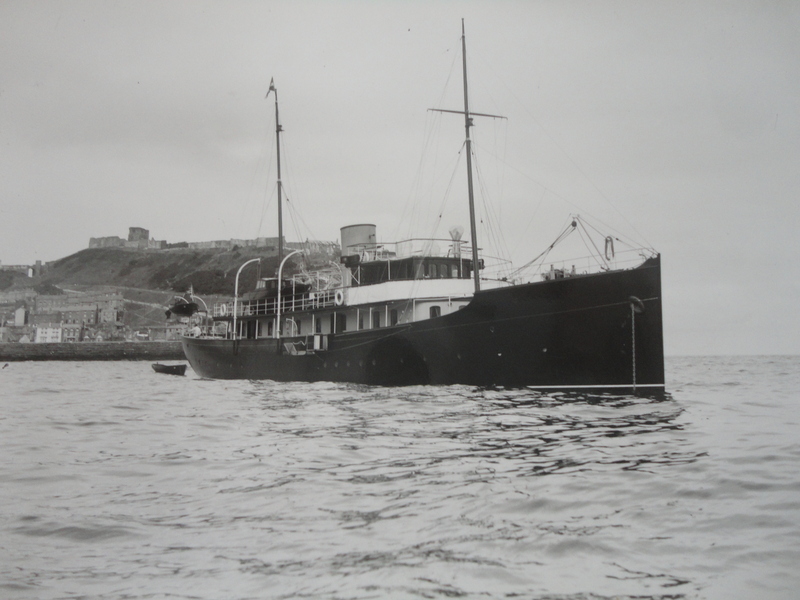 A second trip saw him sailing to Gloucester and sightseeing with a family group (Mummy, Val, Pete and Rusty), which lasted from August 17th-24th 1918. “Will complained bitterly of the cold, altho (sic) he had on a thick sweater, a thick manckinaw, and a heavy blanket, and I had only a Burberry”. I’ve seen a few examples of superstitions in his diaries, mainly an interest in different native customs, but as he was on the whole a very practical and non-religious man, this is quite interesting. “Maurice Egerton, a son of Lord Egerton, who sailed the Banshee of this class all last Summer, is so pleased with the design that he is to take his craft to England at the end of the war and establish a class of them in Great Britain for weekend racing”. The next day on July 21st he was racing again in the Captain’s Island Race and came in 4th. He also races on September 1st and 2nd. The New York Times also reported the results of the Manhasset Bay Yacht Club Championship Race on September 15th 1918, in which Maurice came fifth in Banshee out of 10 starters. Again, the war must have seemed very far away. From August 25th 1918 Maurice moves permanently from Buffalo to Detroit to take over the office of a man being returned to England. He calls it “motor work” but is very vague on what he is actually doing. “Got to Freemont’s at 9.30, a little delayed by the Armistice”. “Closed down my Detroit office”. He then spends some time in New York visiting friends and shopping before sailing on the Cedric on February 15th 1919. He arrived in Liverpool on February 24th and went to Tatton via Manchester on the train. He only spends two days there, and goes to London on February 26th. The exhibition at Tatton is due to open on August 4th, the anniversary of the start of the war and Maurice’s birthday. Do come along and see how Maurice’s story is very different to the others! 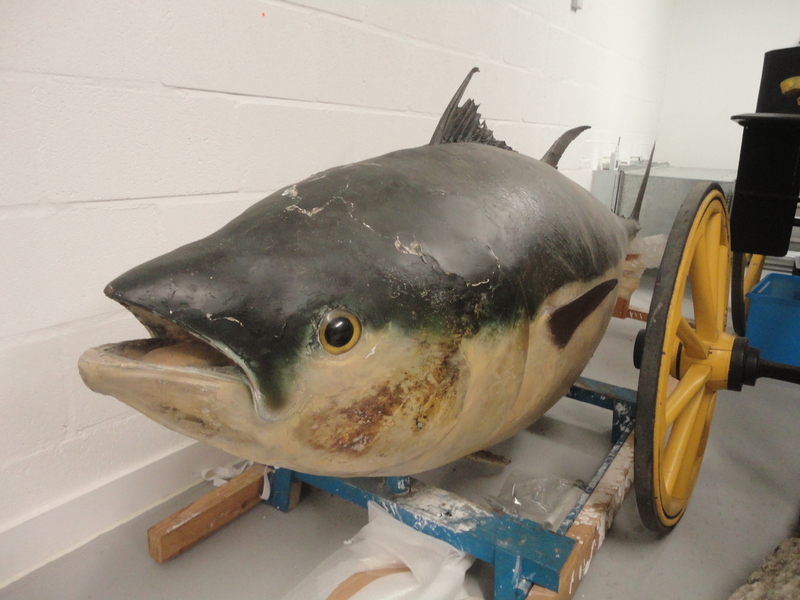 I’ve already written a post about the two monster tunny fish at Tatton Park. They are perhaps one of my favourite pieces in the collection, and will definitely get a big feature in my PhD thesis. Last Monday I spent an interesting day looking at the British Tunny Club archives at Scarborough Museum. Sadly Maurice doesn’t appear to have been a member of the club, so there were very few mentions of him, and his large fish are not recorded in their record books. However, it was interesting to see the names and catches of others fishing as friends or rivals of Maurice at that time. Their accounts are great comparisons alongside Maurice’s, and I got some great context for my research. This is a story best told through pictures, so here are a few photos from the archive, taken with kind permission of Scarborough Museums Trust. Maurice’s tunny diaries begin in 1931, and his first catch wasn’t until 1933 so I had always assumed that he jumped on the bandwaggon rather late. 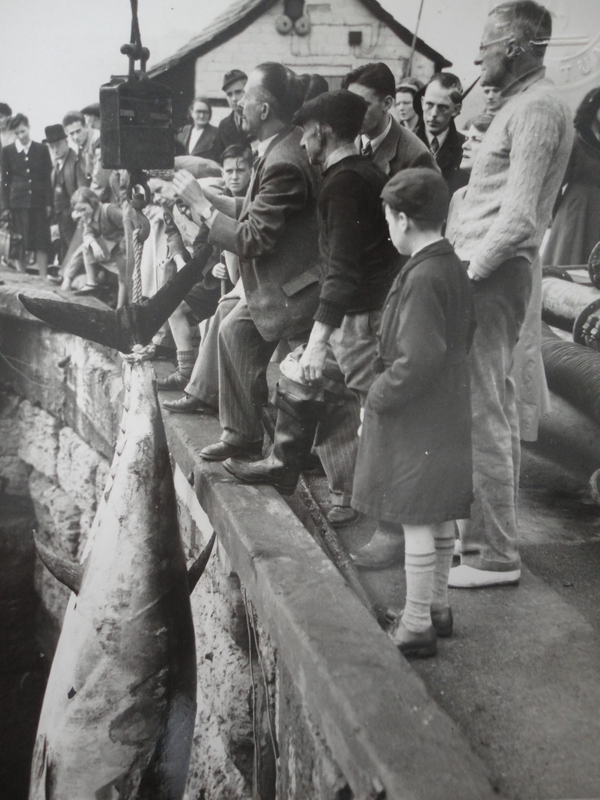 However, the archive revealed that the very next day after Mitchell Henry caught his fish in 1930, Maurice arrived in Scarborough to get in on the action. 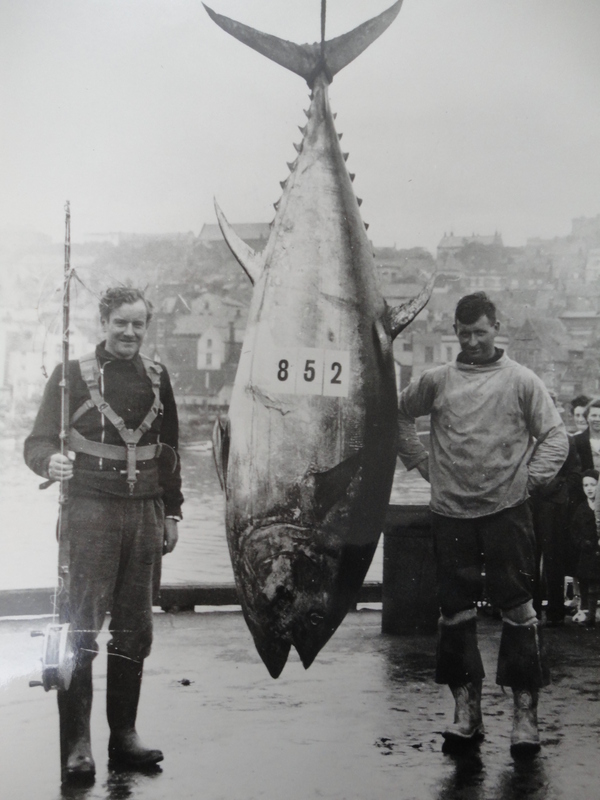 With the formation of the British Tunny Club in 1933, the “rules” of fishing were cemented, saying that fish must be caught unaided from small boats on rod and line. Many fishermen were angry to be inundated from wealthy fishermen using motorboats and the assistance of their crew in landing the fish. As he was a member of the Shikar Club and seemed to care deeply about the rules of sportsmanship, I was surprised that Maurice didn’t join the Tunny Club or adhere absolutely to it’s rules. I think the eagerness to acquire a fish at any cost seemed to win out in this case. 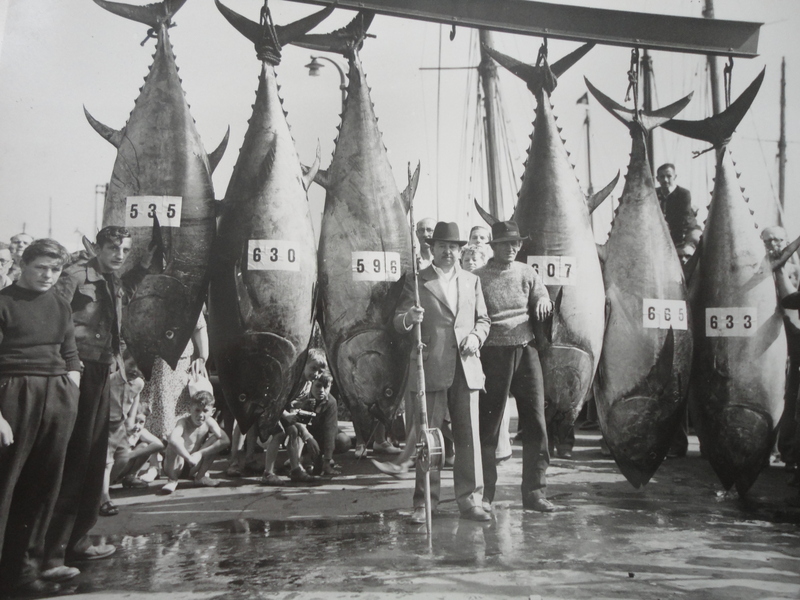 Tunny fishing declined sharply in the 1950s, and the last fishermen came back empty handed in 1953. Some claimed the fish were no longer coming near, but others blamed the local fishermen guides for charging greedy prices. As they lost business, they were forced to work elsewhere, and so few guides were available for those that did still look to fish there. Scarborough felt the loss of the money brought into the town. Today as I walked down to the harbour, it’s almost impossible to imagine how different it must have been in those few summer months every year when the tunny fish came biting. Many thanks to Scarborough Museum and Jennifer Dunne for hosting me. I’ve visited a few different archives lately to branch out and find some context for my research, as well as looking further into Maurice himself. What I’m loving right now is that different strands of my research are starting to link up, so I’m feeling that I’m on the right track and that I’m following the right paths. Last week I spent a few days in Oxford. I wanted to visit the Pitt Rivers to take photographs to start to think more into the second part of my thesis- how Maurice constructed his exhibition. Peering into the cases and poking through the drawers I found a series of objects given to the collection by Powell Cotton. 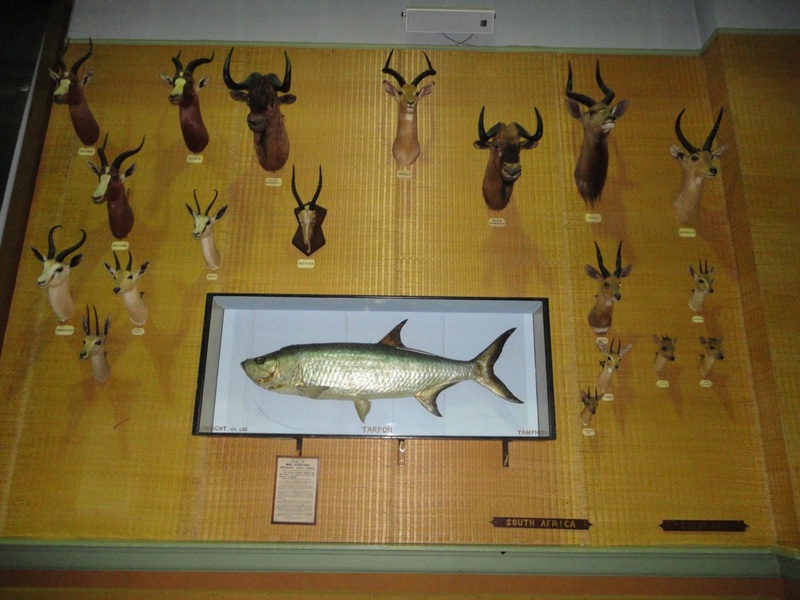 He was another collector known to Maurice, and his display at his museum at Quex Park was very similar. These other exhibitions by contemporaries and acquaintances are very useful comparisons. “I live with a spirit level in my pocket and dream about corrugated iron. I saw so badly, it’s most awful fun, really about the greatest fun I’ve ever had- Tho’ I am happy in a tent, I don’t much care if the house is never finished”. Most fascinating was her account of trying to sail back to England during WW1. Her ship was chased by a German submarine in the Mediterranean and had to go zig-zagging around until an allied destroyer saved them. For safety, it then joined a convoy of ships, and she watched as one of them was sunk in front of her. 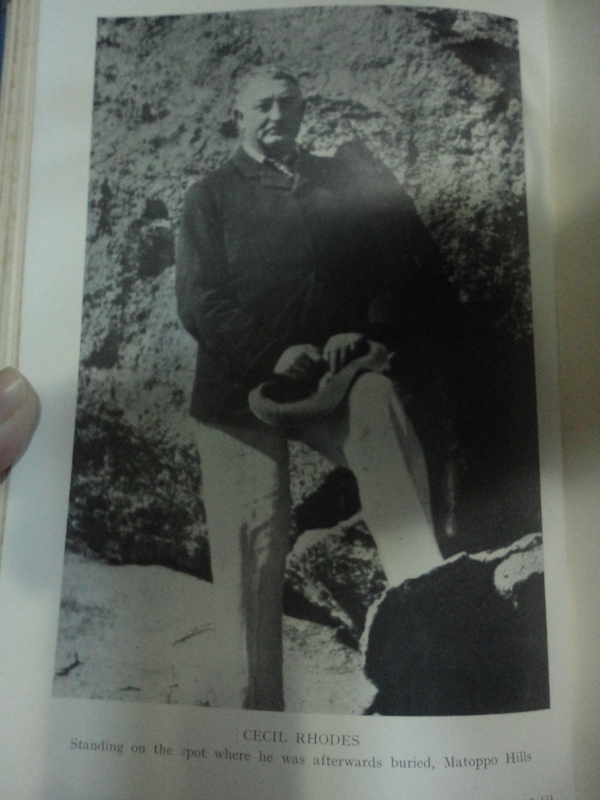 I also looked at another Buxton of the same family who led a noted life in Kenya- Clarence Victor Buxton. His archive related to government in Kenya, and many of his papers were marked classified and top secret. Most interesting was his call for action during the Mau Mau rebellions of the 1950s when several attacks were made on this property. Powys Cobb also had dealings with Clarence Buxton during the management of his estates. When these names all link up it helps me to imagine a sense of community amongst the British settlers in Kenya, and I see how they responded collectively to the problems they faced. I’ve also spent a few days at Chester Records Office this week. As usual, I underestimated the amount of time I would need to go through the archive there, and I have probably spent too much time noting everything that interests me rather than focusing on just taking what I need. I’ve found some useful scribbles from Maurice showing that whilst he was “stuck” at Tatton during WW2 he spent quite a lot of time re-ordering and tinkering with the display of his collection. 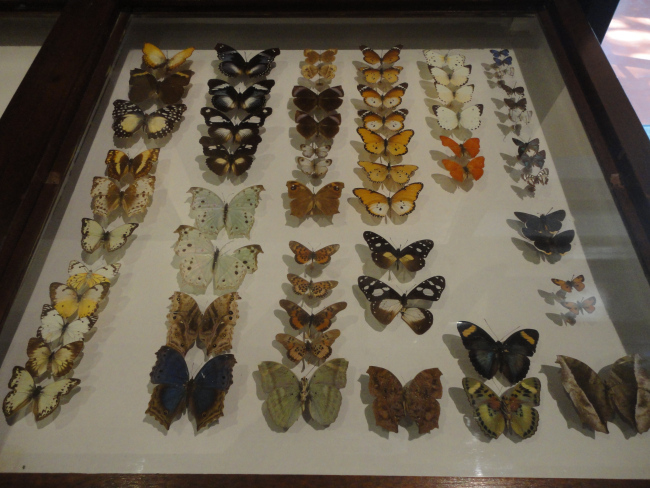 I’d also wondered about the specimens he donated to Liverpool Museum- were they numerous, varied, good quality?etc. From his lists it seems that he donated only poor quality heads or duplicates, or specimens that weren’t his to begin with. Furthermore, it seems he might only have donated these because Manchester Museum had reached a capacity and was unable to take more large specimens due to space restrictions. Maurice didn’t seem happy about this, and offered the museum £1000 if they would expand into the University dental building next door to make a bigger natural history gallery. In the Tatton archive I had seen some balance sheets relating to Maurice’s finances in Kenya. These were interesting as I was under the impression that Maurice was in quite a lot of financial trouble towards the end of his life and I wanted to find some facts. There were more of the same at Chester, and they certainly painted a picture of Maurice being in distress. In 1953 the Westminster Bank wrote to him urging him to make a “substantial and permanent” reduction in his overdraft, which stood at £250,000. An inflation calculator tells me that this would be something like £5.9 million in today’s money. In response, Maurice is forced to sell his land at Iringa in Tanganyika, his textile factory Nakuru and many farms and cottages from Tatton. He had already sold his large tea estate at Jamji. He writes that he has resigned from most of his societies, that he is asking Lord Stamford at Dunham to buy up a lot of his local land, and that he is inquiring about the possibility of the National Trust taking over Tatton. “I am beginning to feel that if my conditions do not soon iprove, I’ll have to consider doing something very drastic about it as the rates, taxes and upkeep of this home are very big. I believe Lord Derby is demolishing part of Knowsley”. Letter back and forth show that meetings had been held to consider the National Trust taking the estate and allowing Maurice and his chosen heirs to live on there meanwhile. Maurice wrote to Lord Derby who seemed to be faced with similar financial pressures. Derby advised him that demolishing wouldn’t be the best option as it came with lots of costs, and that meanwhile he should sell all his farms and his books, which were currently fetching good prices. Many lots of Egerton books were sent to auction in the 1950s, and in 1954 45 lots of Knutsford properties were auctioned, raising £30,750. All of this didn’t keep the bank satisfied, and they wrote again to request more urgent action. I’m not surprised that Maurice spent the last years of his life in Kenya without coming home. But it is very sad to see the pressures of keeping Tatton, and how close he came to losing his grip on it during his lifetime. The newspaper headlines at his death wondering “who will inherit Maurice’s millions?” would have had very different headlines if they had known the truth.